A key tool for startups to attract employees, stock options are currently taxed when they are cashed in. The Senate Republican tax bill would tax the options on the date they vest, meaning when the employee is allowed to begin cashing them in. WASHINGTON — Senate Republicans call their tax bill business-friendly, but technology startups are fuming over a provision that would make a major change to how stock options are taxed. A key tool for startups to attract employees, stock options are currently taxed when they are cashed in. The Senate Republican tax bill announced last week would tax the options on the date they vest, meaning when the employee is allowed to begin cashing them in. The difference is significant because employees often hold on to their options, hopefully until those options’ value rises with the growth of the company. Under the proposed change, employees could face large tax bills before they realize the income from cashing in the stock options to pay them. The change would produce about $13.4 billion in additional federal tax revenue over the next decade, according to an analysis by the congressional Joint Committee on Taxation. 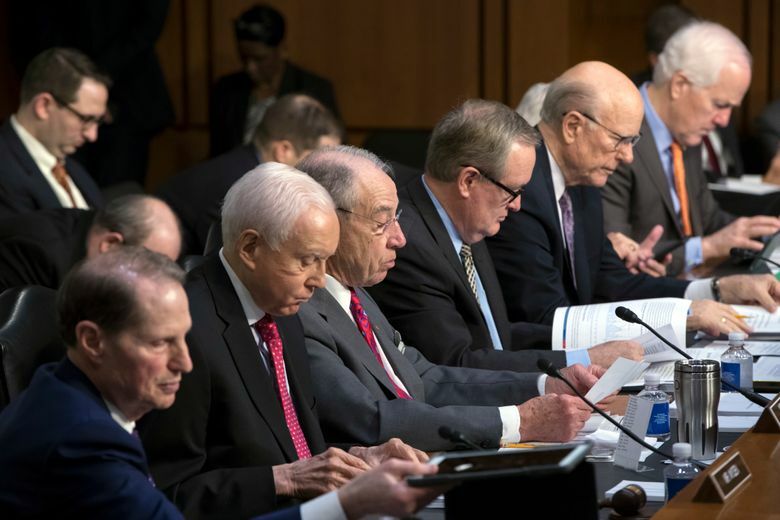 “This shift would have profound negative consequences for technology startups by, among other things, undermining their ability to compete with large incumbents,” said a letter from Engine, an advocacy group for technology startups, that was sent Tuesday to Senate Finance Committee Chairman Orrin G. Hatch, R-Utah. “Startups do not have the ability to compete with larger firms based upon cash compensation,” said the letter, signed by about 540 tech companies, startup executives and venture capitalists, most of them from California. The National Venture Capital Association said on Twitter that it was “working hard to remove the provision” from the Senate bill, which Hatch’s committee is considering this week. “What this would mean is every month, when your equity compensation vests a little bit, you will owe taxes on it even though you can’t do anything with that equity compensation,” Wilson wrote in a blog post. “You can’t spend it, you can’t save it, you can’t invest it. Because you don’t have it yet,” he said. The dispute highlighted the difficulty of enacting major tax legislation as companies and interest groups often balk at changes aimed at them, such as the loss of tax breaks. A similar stock-option tax change was in the original version of the House Republican tax bill. But the provision was removed last week when the House Ways and Means Committee approved an amendment with several changes offered by the panel’s chairman, Rep. Kevin Brady, R-Texas.